Starting a business is hard work, because you have to start from the ground up. Often, once start-ups get above ground, they stop growing and stagnate. There’s a famous expression that says, “Shoot for the moon. Even if you miss, you’ll land among the stars.” Do not follow that advice—it’s inaccurate. With today’s technology, you’ll want to shoot for and land in the cloud. Many of the technologies that can now be cloud-based—like data storage, phones, and business applications—used to be necessary utilities for a business. They were similar to a company paying for electricity or water. With the cloud, all that has changed. Those technologies now seriously increase productivity and, if used properly, can begin to generate revenue for a small business. 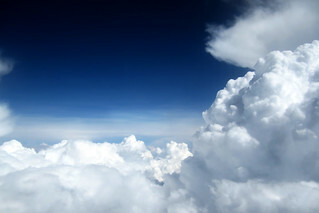 Is it time for you to utilize the cloud? Cloud storage allows businesses to have nearly unlimited storage that can be accessed from anywhere. Of course, a business will have to pay for the storage that they use. The more storage, the more they’ll have to pay. While it seems like that could get expensive, it’s also really good news. Cloud storage allows you to get what you pay for. A traditional storage system forces a business owner to estimate how much storage they will need in the future. If they do not buy enough in the first place, they will have to get more and expansion is always a hassle with on-premise systems. If a business buys too much, then they will be paying for storage that they don’t need. Cloud storage can save a start-up business a serious amount of money. The ability to access data, files, or documents from anywhere on any device is also a definite boon for a company. A business owner does not have to be at the office in order to take care of business. If you didn’t already know, Customer Relationship Management (CRM), Enterprise Resource Planning (ERP) and Application Tracking Systems (ATS) are business applications, which by themselves provide a huge a productivity multiplier for any business. These applications record data about customers, the organization, and employee statistics. Especially with the increase in mobile and remote workforces, the necessity for these applications to be cloud-based has never been greater. With cloud applications, work done on any device from any place is accurately recorded and notes are properly logged into the cloud so that they can be accessed from anywhere. These applications relieve a lot of stress from employees and employers alike. Both will be able to focus on the core business rather than taking valuable time trying to record accurate notes. The notes and data recorded by these applications give accurate measures of a business’s health and stability. This is precisely why these cloud-based business applications are so important. A cloud-based phone system can unify communication for your business. 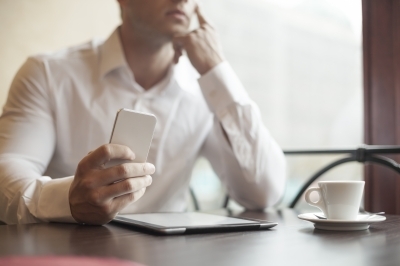 Most employees will come to work with a smart phone in their pocket. Because of this, many businesses are switching to a Bring Your Own Device policy that allows employees to use their smart phones to conduct business. There are some pitfalls to this kind of policy because of the lack of control that a company can exert over the phones and the lack of accurate data keeping. A cloud-based PBX business phone system fixes these issues with features like unified communications and business application integration. As mentioned before, business applications help record data. When they are integrated with a business phone system, calls taken from any device—even an employee’s own device—will be accurately recorded into the application. That data can also be used on a daily basis by the employees. When a call comes in, the phone system will pull data from the business application so that an employee can see who is calling, what products or services they are potentially calling about, and any previous call history. Phone calls then become more personalized, which increases customer satisfaction. Unified communication breaks down the barriers between devices so that they are in sync. That means that with a VoIP business phone system, a business can program an incoming to call to ring on the business phone first, then on the third ring have the call transferred to the employee’s mobile device, and then on the fifth ring have the call transferred to voicemail or another employee. Switching wholly over to the cloud can be a gamble. Cloud computing is subject to security, stability, and data ownership issues. It won’t do your business any good to have a two-bit cloud service that is constantly experiencing outages. Choose wisely, read reviews, and prosper. Amber Newman is a marketing professional from Sacramento, CA who attended Weber State University. She has many years of experience in business-to-business telecommunication software and services—especially hosted VoIP services. She enjoys writing about anything related to business technology. She also loves thinking and writing about the most advanced technology available and pondering about the future of the technology business.